Home budget clean eating fit fam life hack Organic VS Conventional Fruits and Veggies. Where to spend and save. 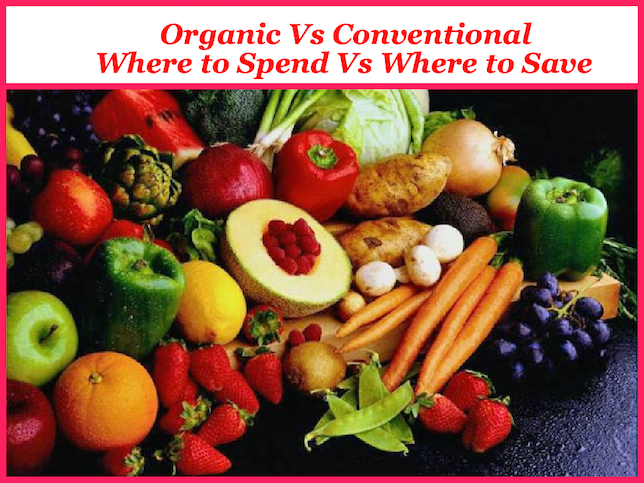 Organic VS Conventional Fruits and Veggies. Where to spend and save. Like most expecting mothers, I spent my pregnancy reading and researching as many things as possible to be the "perfect mother". During that time I found my favorite unbiased go-to for info on the best and safest products and produce for my child, The Environmental Working Group. Each year they provide numerous, unbiased list of the safest and/or environmentally safe sunscreens, cleaning products, paints, produce and even cosmetics... and really so much more! 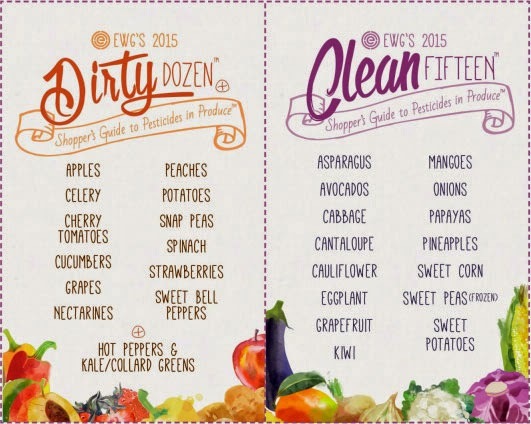 One of those studies is the EWG's Shopper's Guide to Pesticides in Produce™. This year's report had so many useful (and scary) facts, I decided to post the highlights to help you understand why so many groups are fighting to push out pesticides and toxins from use on commercial produce. I've also added easy printable "pin" to help you know where to spend and save on organic vs. conventional produce according to the EWG's findings using data from the U.S Department of Agriculture. FACT: EWG's Shopper's Guide to Pesticides in Produce calculates that USDA tests found a total 165 different pesticides on thousands of fruit and vegetable samples examined in 2013. Clearly, there is a good reason to spend a little more on Organic leafy greens and hot peppers, but what about everything else? This year's Clean Fifteen™ list (produce least likely to hold pesticide residues) consists of avocados, sweet corn, pineapples, cabbage, frozen sweet peas, onions, asparagus, mangoes, papayas, kiwis, eggplant, grapefruit, cantaloupe, cauliflower and sweet potatoes. I'd love to know what you think! Are you organic crazy, or do you buy according to pesticide ratings? How do you clean your conventional produce to ensure pesticide-free consumption?